Inhealthcare’s software development uses a methodology called agile to ensure that our digital health services are continually improved. How we write our software may not seem relevant or even interesting, but since it massively improves how quickly we can meet customer requirements, it is important to both us and our users. Agile allows us to continuously respond to feedback and ideas from healthcare professionals, and implement them in a way that ensures our digital health services are fit for purpose. Just last night Inhealthcare’s development team deployed another feature packed release which included some great improvements to provide an even better service for users of our multi award winning undernutrition service. This includes a redesigned user interface for clinicians viewing patient readings, making the service much more intuitive and user-friendly. 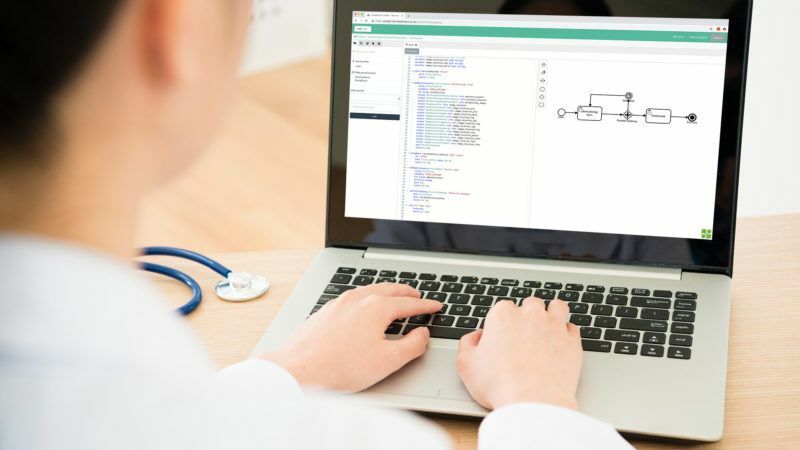 At Inhealthcare, our agile software development process allows us to release a new software upgrade for our users every 4 weeks. The upgrade is the final stage of a rigorous 12 week process that involves planning, mock-ups, development, testing, and finally a release into the live environment. This process enables promises of little and often changes to be fulfilled, which we may not be used to when using other software that is upgraded once a year – or maybe longer. Agile is how internet software companies like Google & Facebook manage to keep their software current and relevant without disrupting their users. What does this mean for the healthcare professionals using the service? Carrying out regular software upgrades every 4 weeks means that our users can request new software features for our digital health services that can be reacted to and implemented quickly, instead of having to wait an eternity. We value clinical input from the healthcare professionals themselves, and want to ensure that our services are designed around these users. Our next software release will be completed on the 17th of September, and we are already in the middle of arranging improvements which includes supporting the feature of SMS text messaging. This means that our digital health services will have the functionality to use text messaging as a method of gathering results and to provide information to patients. This is part of Inhealthcare’s drive to make sure that digital health is accessible and convenient for everyone, whether by automated phone call, on-line, in care homes, using mobile apps and now by text messaging.